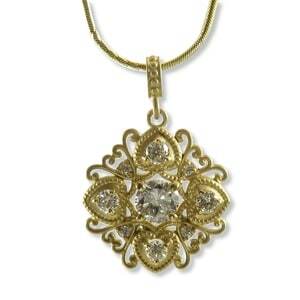 This is just a portion of the pendants that we carry in store. 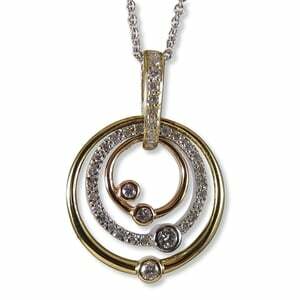 Please visit us to see more! 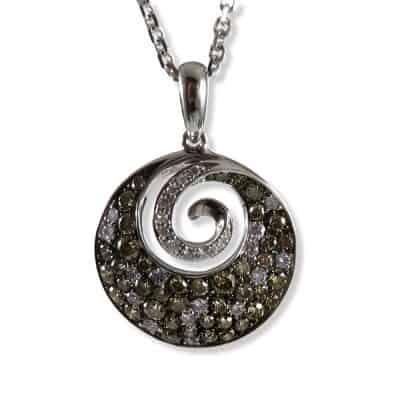 "Chocolate" and white diamond pendant. 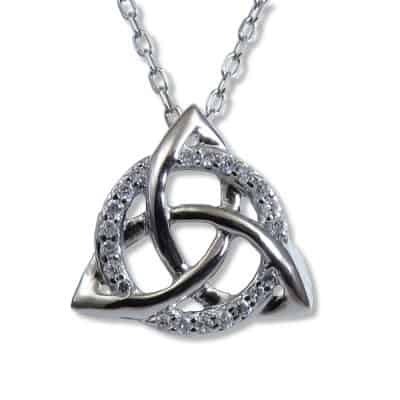 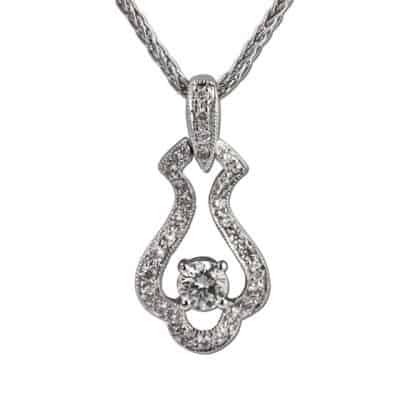 White gold and diamond pendant. 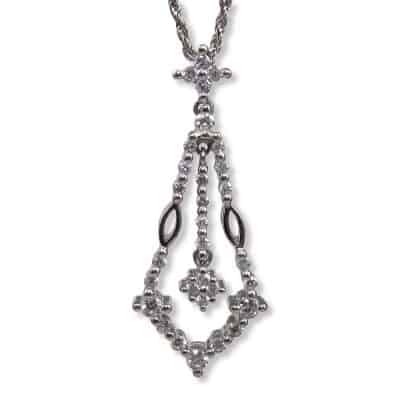 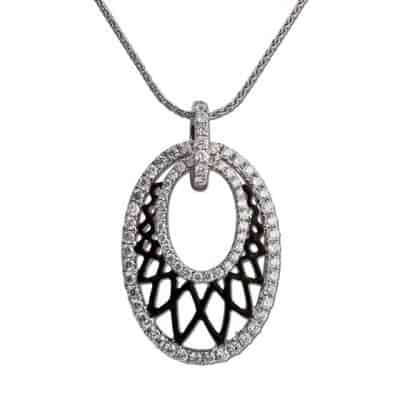 Diamond and black enamel latticework pendant. 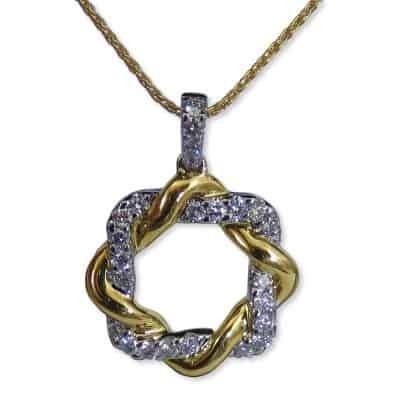 Bead set diamond pendant with milgrain. 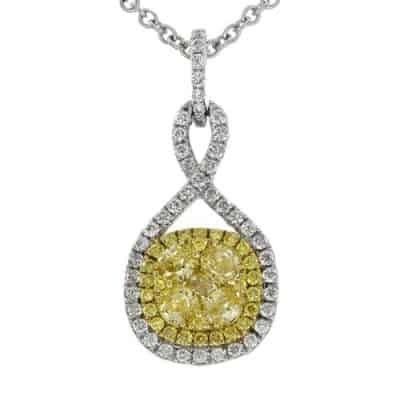 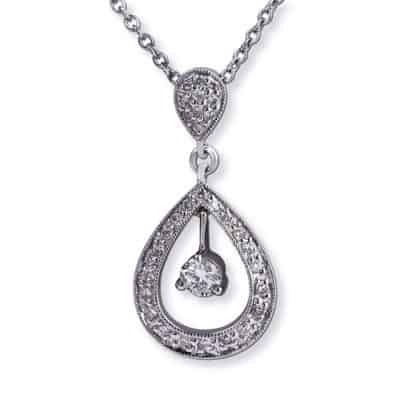 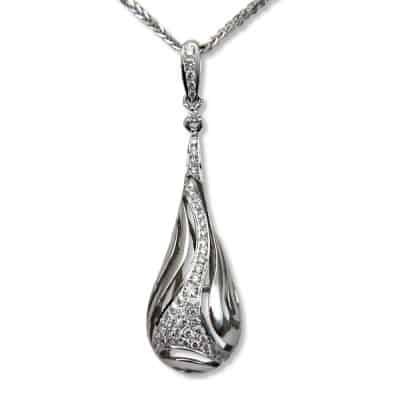 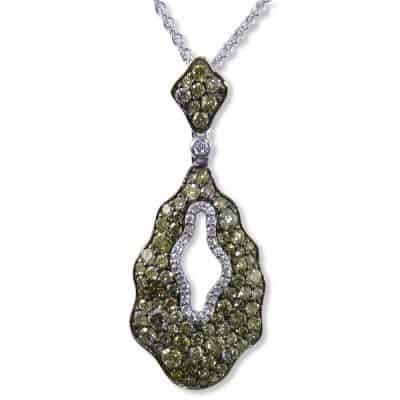 Teardrop diamond necklace with diamond* in the center. 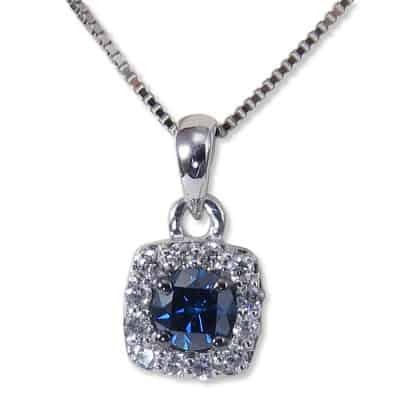 Treated blue diamond with halo pendant.